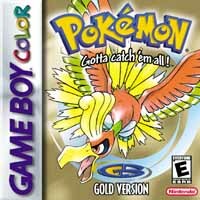 This page has all your Pokemon Gold/Silver cheats. Play through the game until you get to the Pokemon League. Beat the Elite 4 without losing any HP. When you get to Lance, beat all his Pokemon except Aerodactal. Let him knock out all your Pokemon. You'll be at a Pokemon Center now. Start your game all over again. Get to the Pokemon League and let Lance's Aerodactal knock you out like last time. Start over your game. Choose Totodile as your starting Pokemon. Go see Professor Oak at Mr. Pokemon's house. He will say that he has 2 gifts for you to choose from. Pick the second gift. It will be a Pokedex with all 251 Pokemon. Note: The person who sent this in claims that it is guaranteed to work and they have tried it themselves. Before picking your 1st Pokemon, save your game. Pick a Pokemon now. Do Elm's errand to receive Pokeballs. Catch 2 other wild Pokemon. Deposite your starting Pokemon and one wild Pokemon in your PC. Switch to another box. When it starts to say "Saving... don't turn off the power", immediately shut off the power. You'll be back at Elm's lab. Pick a different starting Pokemon this time and deposite it in a box. Withdraw the wild Pokemon you caught earlier. Switch boxes. When saving, turn off the power like last time. You'll be back at the lab again. Pick the last starting Pokemon. Now you have all 3 starting Pokemon. The other 2 Pokemon won't appear in the Pokedex, though. 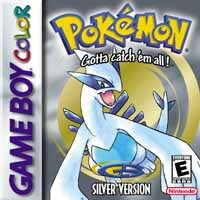 Go to a Pokemon Center and save your game.Next,turn the PC on and deposit the Pokemon to be duplicated.Then,change to a different box.When it says that you have to save the game,answer "yes" so that it starts to save.Immediately turn off your Gameboy after the words "Saving...don't turn off the power" comes on.Don't wait for it to completely save the game,though,or the cheat won't work.Check your PC afterwards.The will be a Pokemon in your party and another one in the box. Press and hold the B,Select,and Down buttons together.It will ask you if you want to change the time.Say "yes" and it'll ask you for a password. 1. Find the value of the first 5 letters of your name and add them all up. 2. Take the total ammount of your money (not saved by your mom) and divide it by 256. Add the remainder to the total. Example: My money is 500. I divide that by 256. I got the answer 1 and a remaider of 244. 1 + 244 = 245. 3. Take your ID number and divide it by 256. Add the answer and the remainder together. 4. Add all of your calculations together to make a 5 digit code. If there are less than 5 digits, add zeros to the beginning of it to make it 5 digits. For example: my total came out to be 419. Therefore, it becomes 00419. Trade the Red Gyarados back to Red/Blue/Yellow and let it learn TM 31, Mimic. Trade it back and delete all of its moves except Mimic. Fight a wild Ditto. Let it use transform to turn into your Gyarados. Use Mimic to mimic Transform. Let Gyarados use Transform. Let Ditto use Transform again. Then, catch it. It will be shiny. Now that you have a shiny Ditto, you can breed any Pokemon with it. Your odds of getting a shiny egg is 1:64 where regular odds would be 1:8000. Go talk to your mom and change to Daylight Savings Time. Go back outside. There's a 75% chance that someone will call you. Enter the Pokemon Center in Fushcia City.You'll see that the Nurse Joy in there has green hair. Go to the Burned Tower and smash the rock on the left side of the room.Walk forward,then right to battle a trainer with a red shirt.Defeat him and you'll see that his shirt is blue now. Press and hold the buttons A,B,Select,and Start together.Your Gameboy will restart and you don't even have to reach to cut the power off!